I'm an avid fan of Avatar, so getting the chance to immerse myself in the magical world of Pandora was one of the most incredible experiences I've had in quite a while. There is no way for me to truly convey just how gorgeous, amazing, thrilling, mind-blowingly sensational Pandora is in one single post, but I'm going to do my best to help you guys prepare for your upcoming trip to Pandora: World of Avatar with my official Pandora-World of Avatar Expedition Travel Guide. 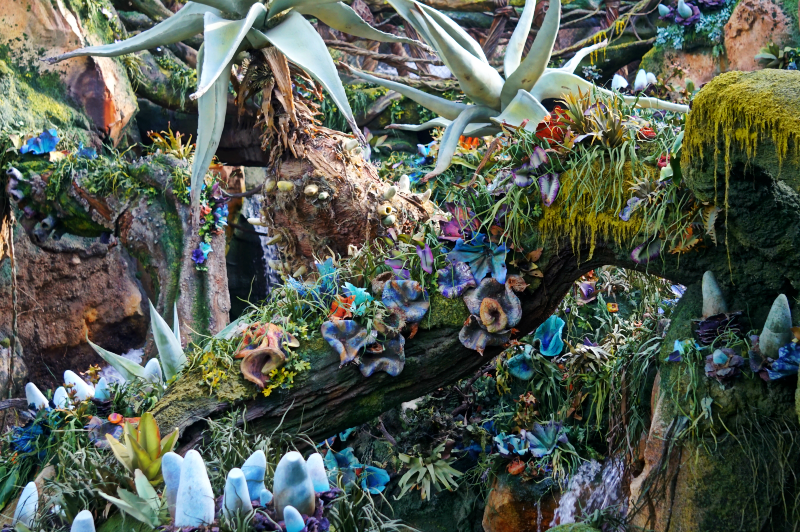 If you're a fan of the movie Avatar, you've probably seen the cinematic version of Pandora. Though you would think that watching the film would prepare you for actually visiting Pandora, you're wrong. 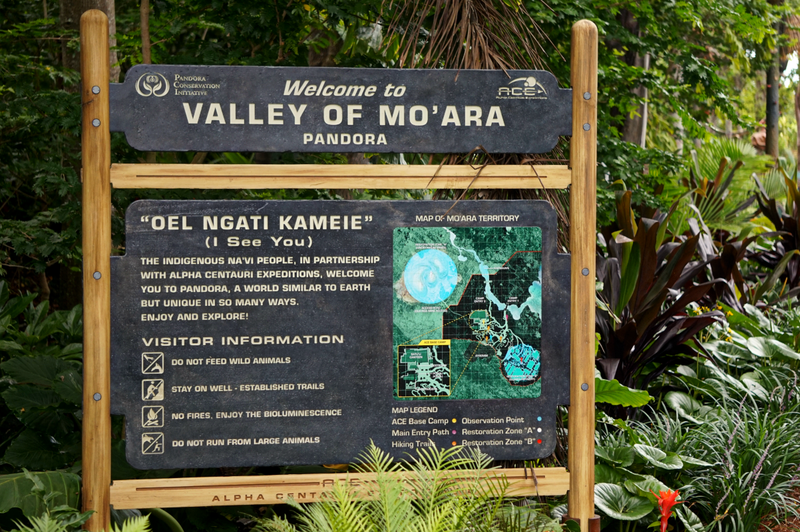 Once you step into Pandora, you're instantly transported to a place where the otherworldly scenery comes alive, and the smells and sounds are so realistic you'll start to question where you are. And it gets even more incredible at night. But more on that later. 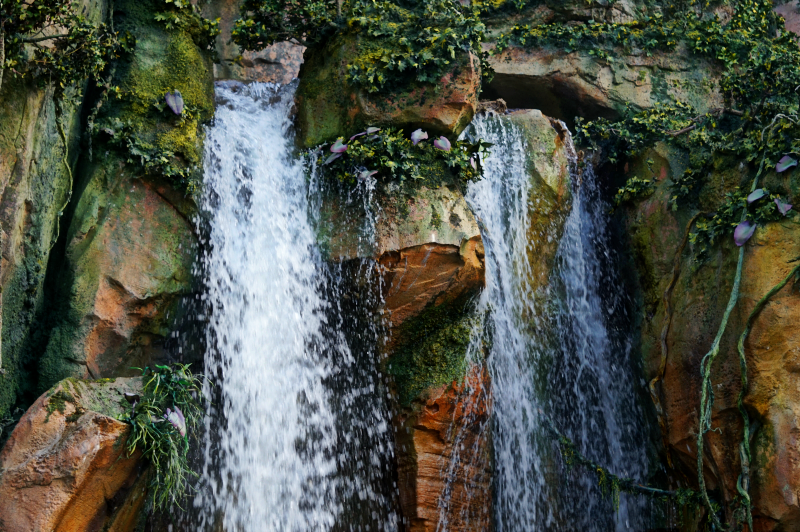 Pandora contains two major attractions, Na'vi River Journey and Flight of Passage. There are also several food kiosks and restaurants that serve up authentic Na'vi styled cuisine. And in true Disney style, there is a gift shop at the base of Flight of Passage that contains an impressive array of Avatar merchandise, including a 'Build Your Own Avatar' machine in which you can literally, build your own avatar. 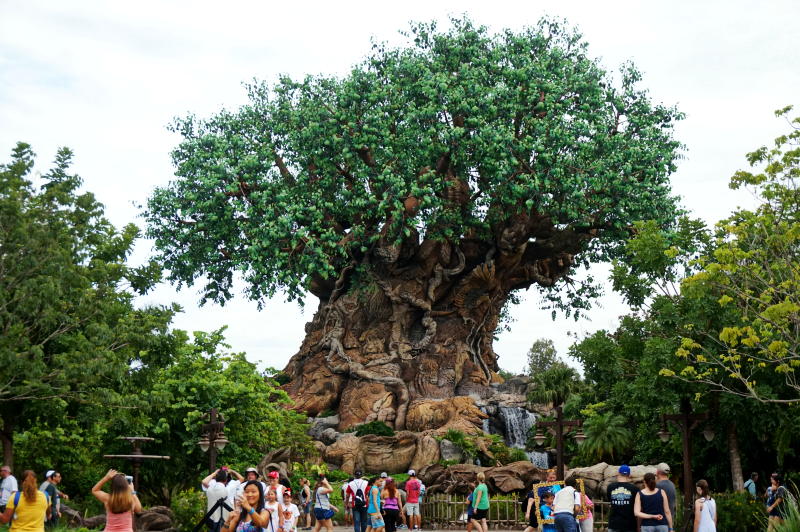 Recommendations: As I mentioned before, there are two major attractions in Pandora, Na'vi River Journey and Flight of Passage, both of which are absolutely incredible, and 100% kid friendly. Though you will likely have to wait in line for a while for either attractions, the queues for both rides are designed to be part of the experience. Trust Disney to make having to stand in line for a ride exciting. 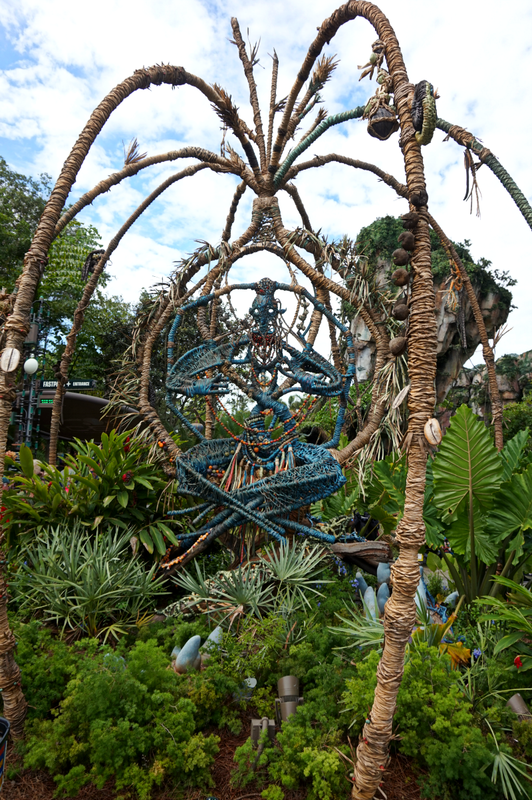 Na'vi River Journey is a peaceful journey through the dazzling world of Pandora. Riders board a realistic reed boat and are transported down a lustrous river, where you will view a series of scenes that depict what life is like for the Na'vi. Though the scenes themselves are incredible, it's the notorious bioluminescence of Na'vi River Journey coupled with the Shaman of Songs that really steal the show. This ride is the perfect way to cool down and rest while enjoying the incredible Na'vi scenery. 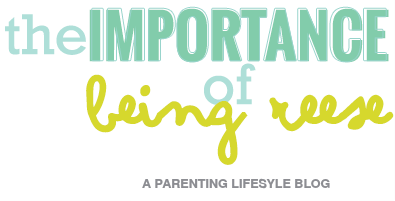 Additionally, it is PERFECT for kids of all ages. There is no height restriction and options for handicap riders are available. The wait time for Na'vi River Journey can be quite long, but in many ways, the wait is part of the experience. Once you enter into the queue, you'll travel past various Na'vi displays and architecture. Again, it's a part of the experience and starts to build up your anticipation of what's to come. 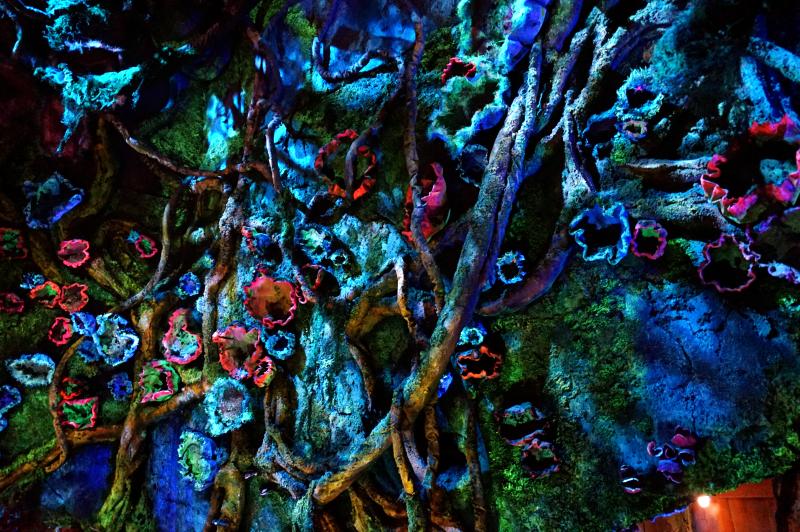 Flight of Passage is unequivocally the crown jewel of Pandora, and quite possibly the Animal Kingdom in general. 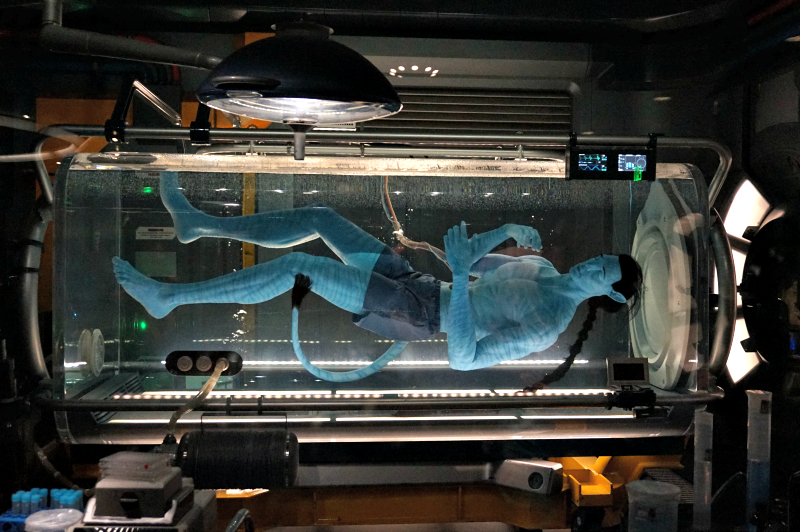 I'm no stranger to how incredibly realistic Disney World rides can be, but even I was woefully unprepared for the experience of Flight of Passage. The Flight of Passage experience starts with the queue. Because of the popularity of this ride, it is HIGHLY recommended that you get a Fast Pass if possible. Similarly to The Na'vi River Journey, the wait inside the Flight of Passage queue is part of the journey. 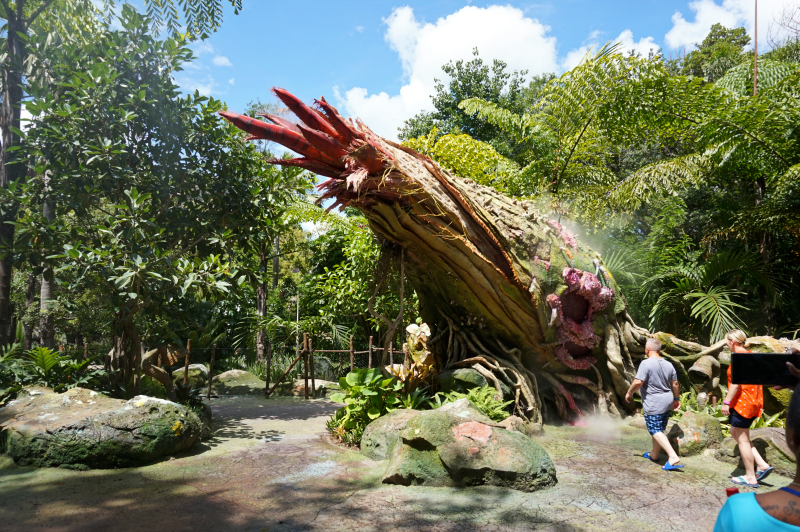 When you enter the rider queue, you'll travel though the Pandorian landscape into the caves of the Na'vi. There, you'll be treated to authentic Na'vi displays, cave drawings, and of course, tons of fans to keep you cool while you wait. (Good looking out Disney). 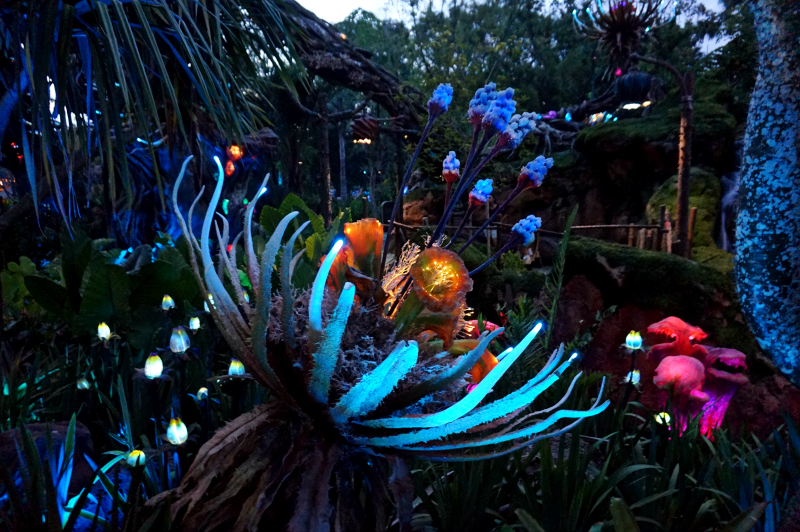 The next phase of the queue takes you to a biolumenesent rainforest where you will have the chance to take in more of Pandora's breathtaking scenery. Finally you'll journey to the science lab, where you'll have the opportunity to see a realistic looking Avatar floating in his chamber pod. All of this buildup leads to the ride. By now you are sufficiently immersed and prepared for your flight. Upon entering your flight chamber, you'll watch several short videos and follow a series of commands to prepare you for flight. Then you'll enter a room where you will select a motorcycle type ride and wait to be genetically linked to your Avatar. The whole process is incredibly interesting and realistic. 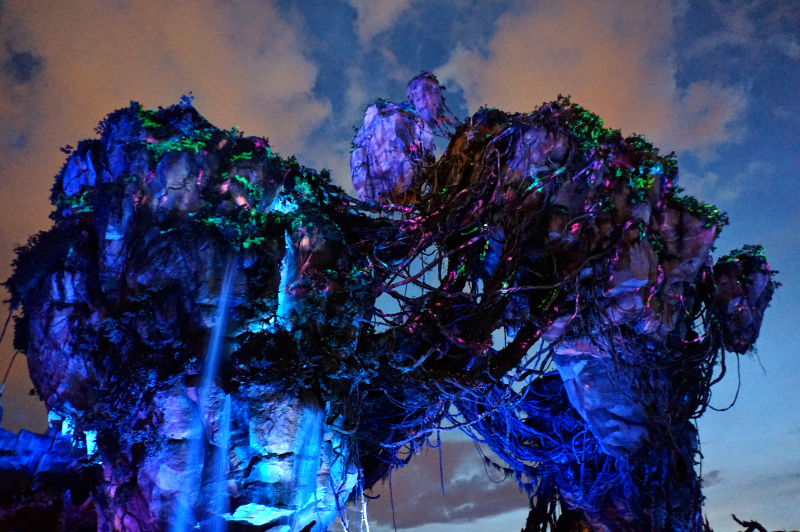 Once you're linked, you will begin your thrilling 4-D Journey into Pandora on the "back" of your banshee. If you've ever ridden in a simulator, forget everything you thought you know. This ride easily surpasses every other simulator because it includes not only mind- blowingly realistic visuals, but physical elements such as smells and occasional sprays of water. There's not much I can say about this ride, it's something you have to experience to understand. So now I'm going to move onto my second favorite part of Pandora--the food! 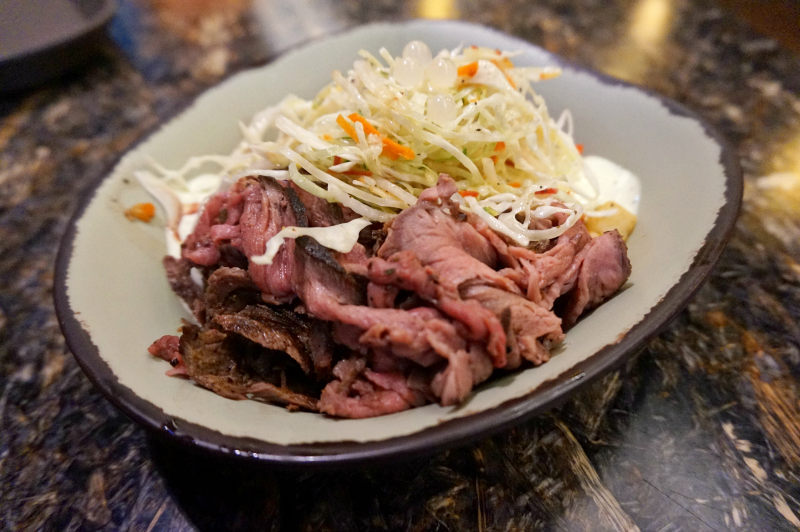 Recommendations: Satu'li Canteen is for adventurous foodies. They have tons of dining options, but you won't exactly find pizza or burgers on the menu. 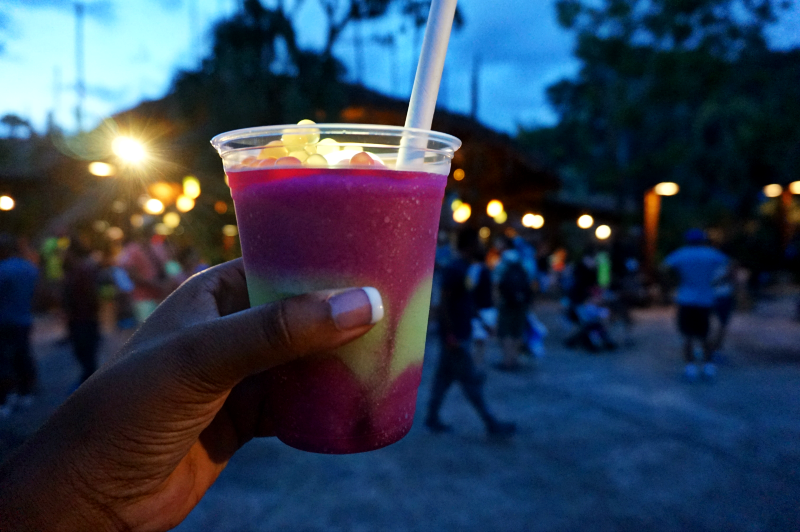 Once we finished getting a few rides in, we headed to the Satu’li Canteen to fuel up for more adventure. The Satu'li serves up Pandora inspired dishes in a mess-hall like atmosphere. Like all things Pandora, a ton of detail and planning went into this restaurant. 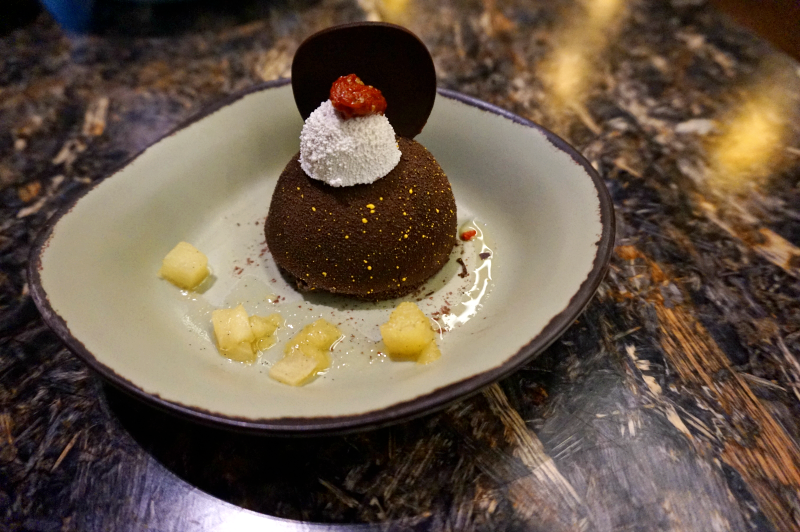 For one, the menu is unlike anything I've ever tried at Disney. At most Disney restaurants, they have pizza, or burgers on the menu. 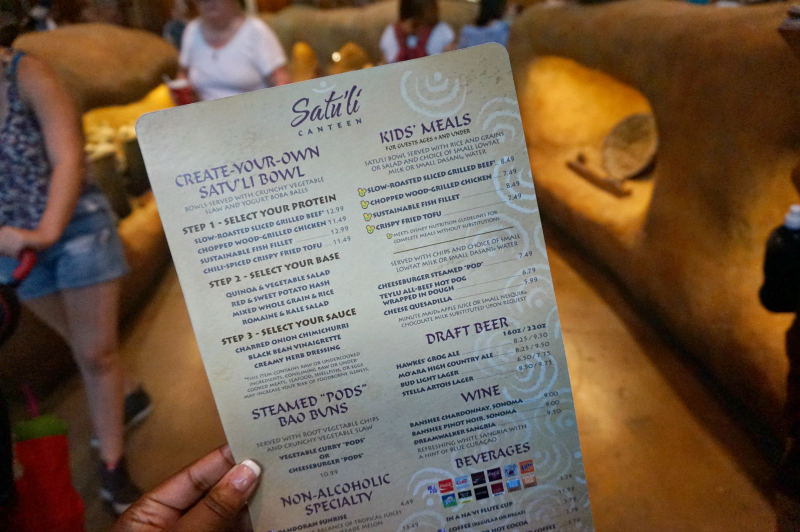 At the Satu'li, the food is authentically Pandorian in every sense. The menu is carefully crafted and offers healthy internationally-inspired cuisine. You start by creating your own bowl with a base (quinoa and salad), a protein (chicken, beef or fish), a side, and a dressing. Once you've created your bowl, you can choose a dessert and drink to go along with your meal. Tip: As delicious as the food was, I could only finish half of my bowl. So if you're traveling with a family, you may want to consider sharing a bowl or two to cut the cost and waste. Recommendations: The Night Blossom is a MUST! But wait until it gets dark. And pay the extra few dollars for the glow seed. You won't regret it. I'm no stranger to drinks at Disney. I've definitely had my share of libations at Epcot, but the Night Blossom easily tops all of that. 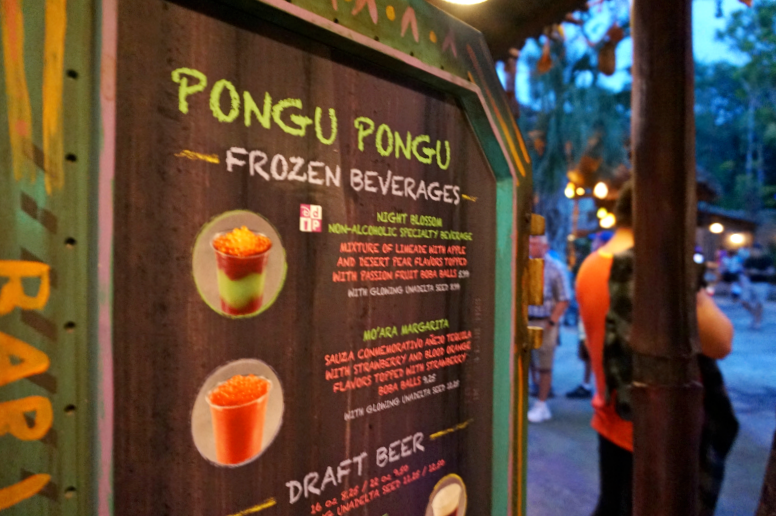 You can find the Night Blossom at the Pongo Pongo stand located next to the Satu'li Canteen. (Fun fact: Pongo, Pongo translates to 'Party Party' in Na'vi). The drink contains a variety of fruity flavors, including passion-fruit flavored boba balls that provide an additional burst of flavor. It's heavy on the sugar, but i's a nice pick-me-up to help you navigate Pandora. Especially at night. Mid-day, me and my Pandora partners decided to head back to our hotels to rest (a must if you're visiting Disney in April/June). 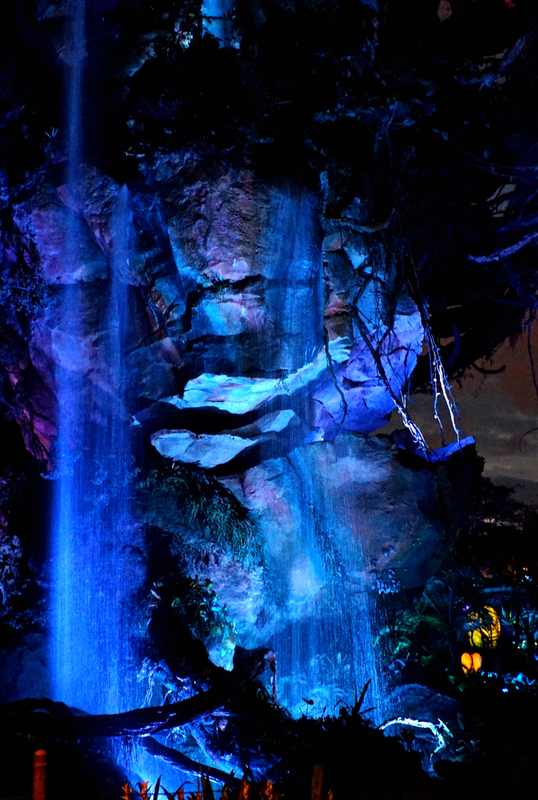 Once we were sufficiently rested, we headed back to the park just in time to take in the breathtaking magic of Pandora at night. Earlier in the post I mentioned how incredible Pandora gets at night. Because I believe a picture is worth a thousand words, I'm going to leave you some eye candy to take in and enjoy. Whether you visit during the night, or during the day, Pandora-World of Avatar is a must. 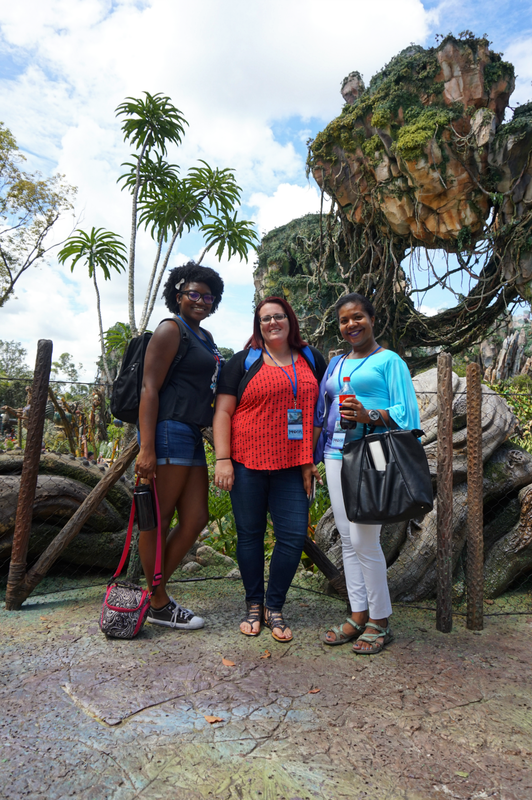 If you're looking for more posts about Pandora, be sure to check out the fabulous Jen at Jenoni for a recap of our adventure. 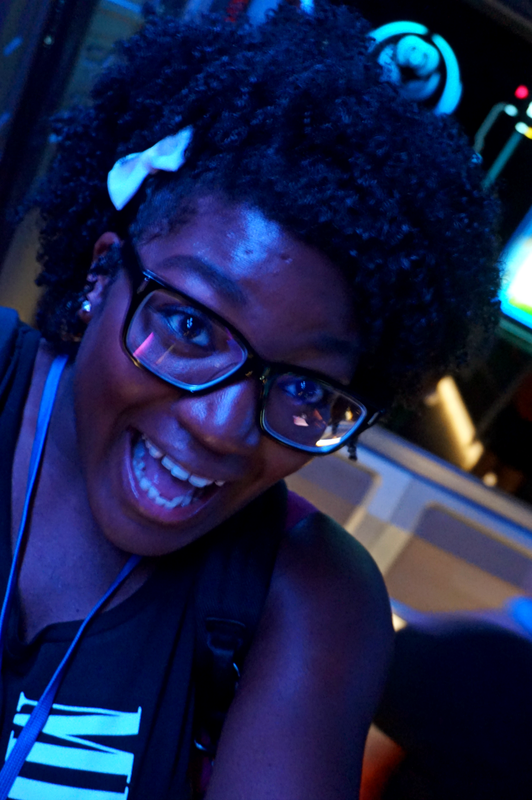 For more behind-the-scenes pics and Pandora news, be sure to follow the official Disney World Blog. 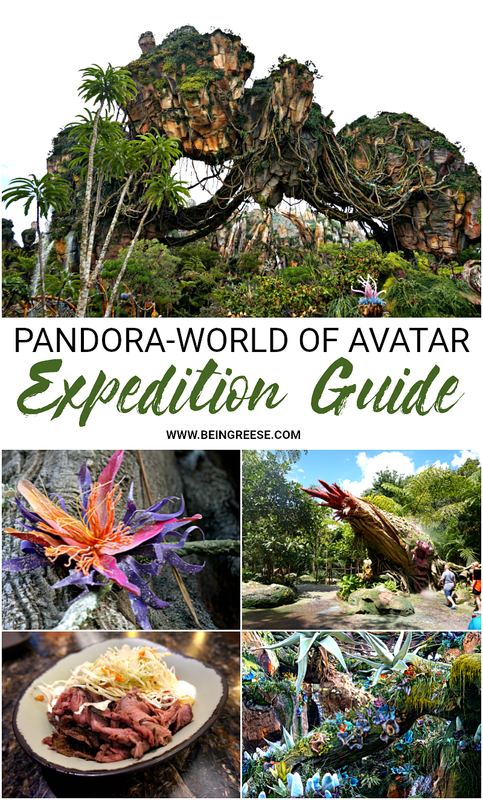 As always, if you found my Pandora-World of Avatar Expedition Travel Guide useful, feel free to REPIN via Pinterest to save for later or RETWEET on Twitter to share with friends and family. Be sure to check out my Disney tab for more Disney related topics. I got to see Pandora-World of Avatar and it was amazing. They have done a fantastic job on it. I can not wait to go back and explore it some more. Can you believe that I have never seen the avatar movie?? After reading this and seeing your photos though, I really want to see it now! I keep hearing great things about Pandora-World of Avatar. I saw the movie when it came out. I bet this attraction is just as vibrant and amazing! This seriously looks like the most amazing place EVER! I am mad that they didnt have this when we last went to WDW, I am in awe of the amazing things it offers. I am going to have to tell my husband we NEED to take the kiddos to WDW ASAP. This look amazing. I love the Avatar movie and am actually excited to watch its sequel. Glad you had so much fun! Do they also have free face painting ala-Navi citizens? I would absolutely love to get to go and visit Pandora, it looks like they have done it so well, fingers crossed I shall make it! That nigh blossom drink looks delicious. Will definitely have to try it. And don't judge me, but I still have to watch Avatar the movie. It's been on To Be Watched list for forever. Alright! Def a must see for myself. I am making my way to Disney very soon. It looks like you had an amazing time! What a beautiful place to explore too - adding this to my list of places I want to visit! Such beautiful and artistic creations. I would love to visit both the Na'vi River Journey and Flight of Passage. Such an exciting experience. Watched Avatar and I definitely want to see this beautiful and artistic creations. 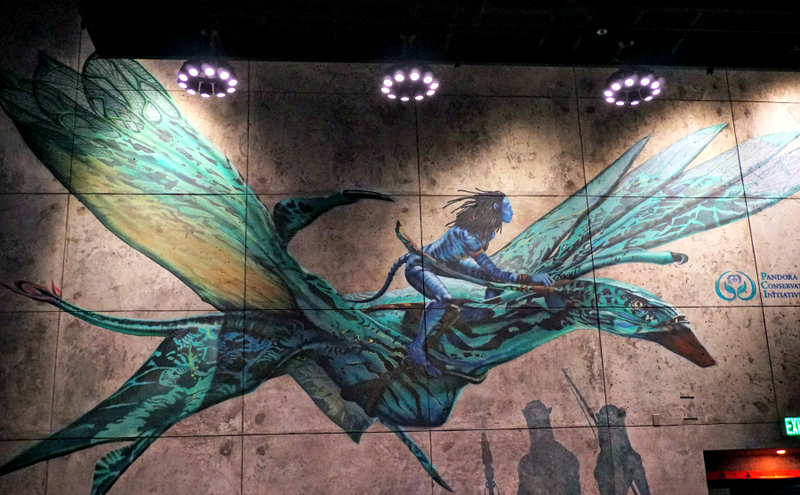 I would love to see both Na'vi River Journey and Flight of Passage. 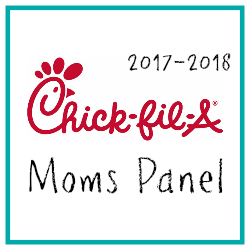 We are planning a trip to Disney in February. I can't wait to see Pandora. It looks amazing! I'm so excited about all the new attractions Disney is comming up with in recent years! They have some awesome new ideas! I was a BIG fan of the movie AVATAR, still am and I went to see it a few times actually, to enjoy it to the max. I did not even know that this park existed, so it's definitely added to my looong travel list. I love the Avatar Movie personally! I cant wait to go and visit the world and see all the wonderful details put into recreating it! We are fan of Avatars. I love all the pics you shared. It's just sad we will not have the chance to see the event. How fun! This Disney adventure looks wild and interesting. I didn't even know this park existed. It looks like you have lots of fun. 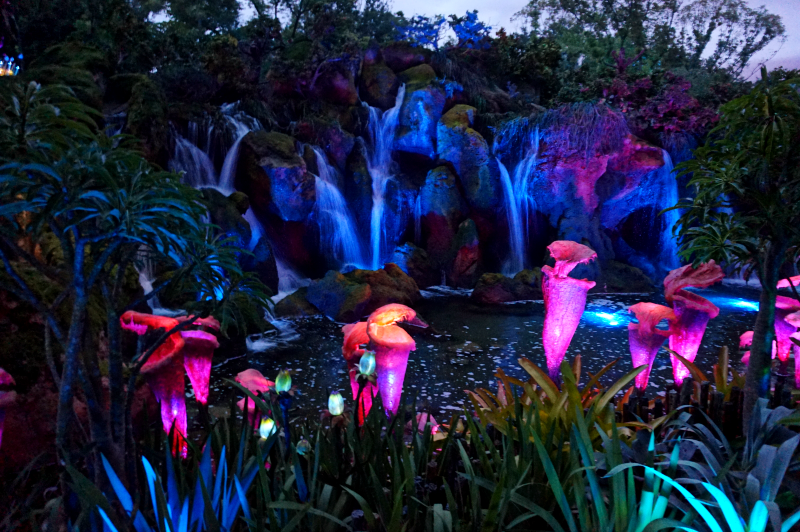 I'm so jealous - this pandora world definitely looks so magical. I hope to bring my family there someday. We're Avatar fan!!! This looks incredible. My kids would definitely love to go to Disney and visit this. I am still in awe, I keep scrolling back up to look at all the photos, so beautiful! Yes! I want to take the kids there because *I* want to go there. I'll have to remember that drink. 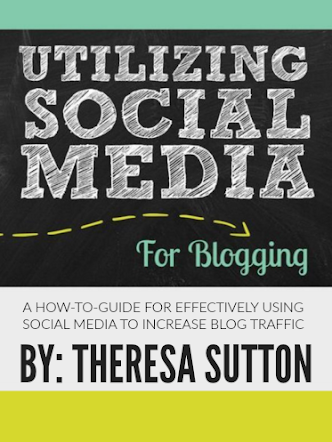 FANTASTIC content Theresa!! Thank you so much for sharing! !